When fellow writer Yin-Yin Ow mentioned seeing an Eastern European restaurant in Adelaide's western suburbs my interest was hooked. 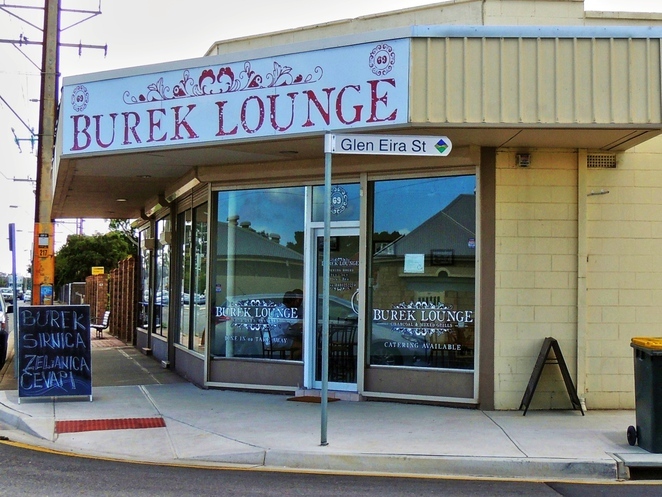 The restaurant, known as The Burek Lounge, not surprisingly specialises in bureks - a pastry parcel with a savoury filling. 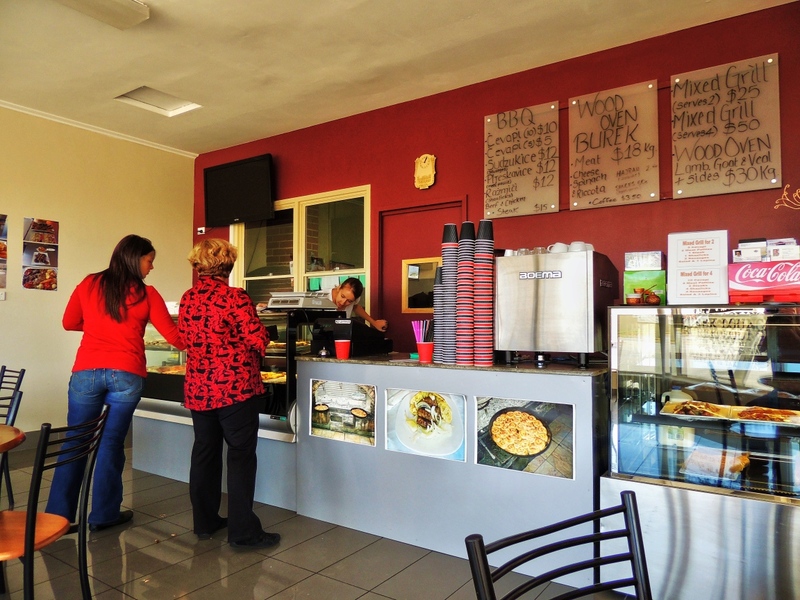 It is the only restaurant of its type about Adelaide. My mate Google was unable to help with a menu or any other information except a Facebook place marker presumably created by a customer, so a visit was in order to sample their wares. When my companion and I arrived at lunchtime there were frequent customers getting takeaway food, and a pleasant BBQ meat aroma wafted on the breeze. Inside, the Burek Lounge is clean and light with several tables available to dine in. The counter assistant was polite and helpful, and happy to explain the dishes on the menu. or plain cheese. They are sold by weight and we ordered one of each to share between us, and the assistant cut them in half and served them on two plates. We did get a rather curious look, probably because most of their customers know exactly what they want and order larger quantities. The pastry was not flaky, more doughy/chewy and like a bread. 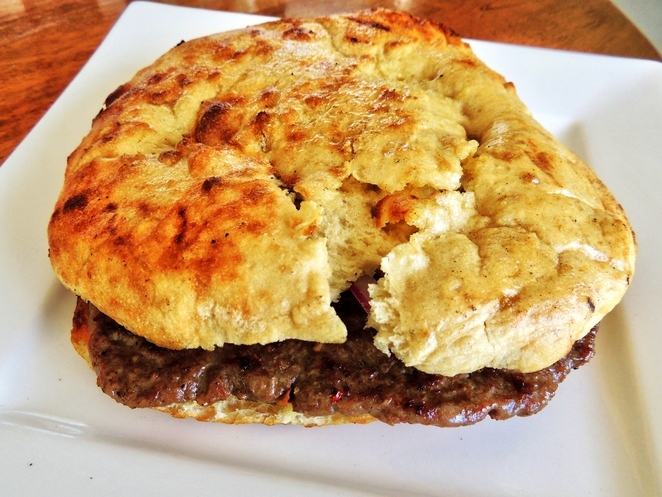 I found the meat burek to be pleasantly spicy, but thought both of the others lacking in flavour. 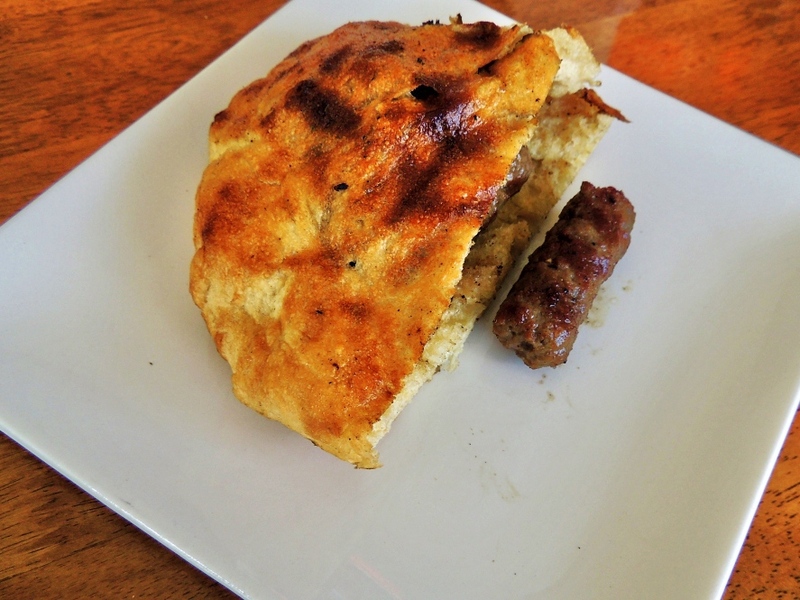 Likewise my companion only enjoyed the meat burek. We decided to part company for the next course - I ordered 5 chevapi (without optional raw onion) and madame ordered a pljeskavica (meat pattie) with onion. Both came promptly, served within large lepinja rolls. I enjoyed the chevapis (chevapchichis), but was unable to finish the roll as I was full. Unlike shop bought chevapchichis I didn't encounter any bits of gristle. Madame was quite capable of demolishing her complete serve of pljeskavica, and enjoyed the tender spiced ground meat which was shaped rather like an escalope (schnitzel). 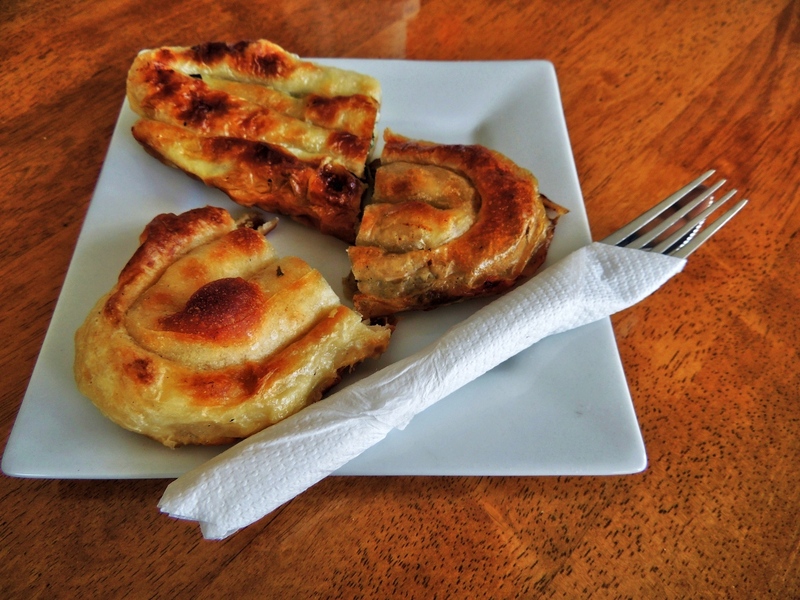 The (unlicensed) Burek Lounge is not a place for vegetarians unless they would be satisfied with cheese and spinach bureks. Only one menu option comes with vegetables - potato and a greek salad. But a dedicated carnivore could get very excited here. The Burek Lounge offers traditional Bosnian/East European food at good prices. It has a good following, as there were a steady stream of customers while we were there. And for those who enjoy a large meat meal, it is tasty and very good value for money. If I were to choose again, I think I would have either the charcoal lamb with salad, or maybe a mixed grill. Having a light appetite, I didn't need a lot of bread as a filler, although others may. Apparently on Saturday afternoons, roast lamb on a spit is available - I might have to come back for that. For anyone who are keen to try something different, I include the menu below (updated late 2015). I love lamb on spit. Will be visiting this restaurant to try it out. I'm about to use your photo of the pleskavica in a post on my blog (larrycette.com, in Italian). I duly put a link to this page, but please let me know if you don't want me to do so.